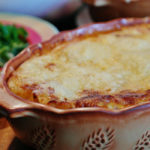 A dessert that smells of summer and is enjoyed in winter. It risked being forgotten, now it is sustained by the Slow Food Presidium. 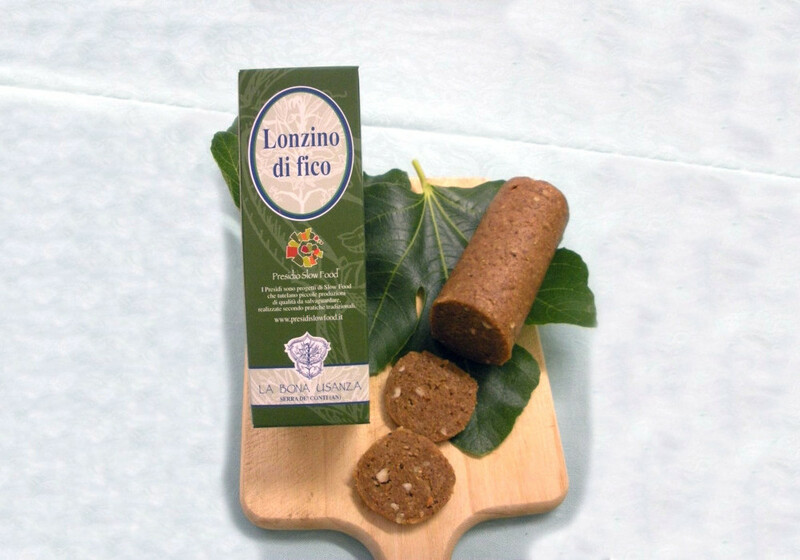 In spite of its name, “lonzino di fico” (fig loin) and loin itself have only the form and the binding in common. 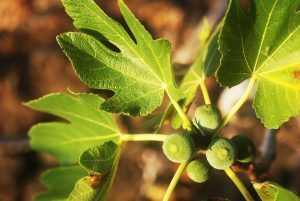 It is a sweet delicacy that comes from the Marche countryside, specifically from the surrounding areas of Jesi where the lush fig plants grow abundantly. The sweet summer fruits are collected and dried in the sun or – if you can – in the oven. Then they are ground with mixed with simple but rich and tasty ingredients such as walnuts and almonds. In the old times some anise seeds or even a splash of liquor were inserted into the dough of the lonzino di fico. Finally the ready mixture is wrapped around with the fig leaves and tied with woolen thread. Lonzino di fico – or more precisely one of its primordial and tasty ancestors – was already spoken about twenty centuries ago, in ancient Rome. The Latin writer of agronomy Columella (65 AD) handed down to us the stages of its preparation “Someone after having picked figs takes away their peduncle and spreads them in the sun. When the figs are dried a bit, before becoming hard, they pile them up in clay or stone tanks […] Then, they beat them the same way the flour is beaten and they mix roasted sesame with anise of Egypt, fennel and cumin seeds into the mixture “. As it happens, we read later in the recipe that even the ancient lonzino was formed into small sausages, wrapped in fig leaves and tied with some thread rush or any other grass. The origins of lonzino di fico were therefore almost lost in history. 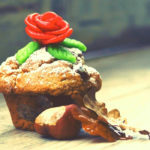 We know for sure that the ancient Romans, even though they did not know sugar, were already masters in preserving and processing dried fruit. The recipe has been handed down orally from mother to daughter over time. The preparation, as we can see, has remained virtually unchanged. The elderly of Vallesina remember that when they were children, after a day of running around in the fields or looking after the sheep, they used to get two slices of lonzino di fico and bread for a snack: a simple but substantial meal. In the rural tradition – as we know – nothing is thrown away and the last sweet summer figs were not eaten but kept for the winter. 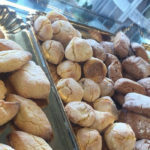 With the preparation method of this ancient sweet from Marche it was possible to keep the flavours of the summer unaltered until December so that the children could taste them during the Christmas holidays. If for centuries lonzino di fico was considered a poor snack of the rural tradition, today it is the object of rediscovery and protection. In fact, Slow Food Presidium decided to protect its original recipe from being abandoned and forgotten. There are a few producers who are part of it and who keep the preparations and tastes of the past intact. Among these, there is Bona Usanza, a small cooperative that unites a few producers from the Marche region who want to bring back the memorable flavours and whose name is already a declaration of intent that is truly clear and valuable. The friends of Bona Usanza, which you can find in Serra de ‘Conti, surrounded by the hills covered in Verdicchio vineyards, recommend serving lonzino di fico at the end of a meal. It should be cut into slices maybe with a spoonful of sapa (grape juice syrup) accompanied with aged cheese and a good passito wine from the area … and it might be a good idea to taste it also for a snack, just like they used to do it once upon a time in the countryside of Jesi!